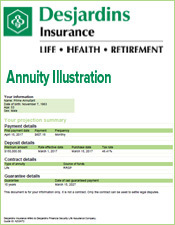 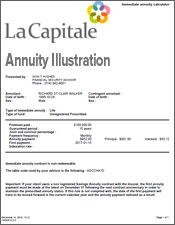 Canadian Annuity rates as of April 2, 2012. 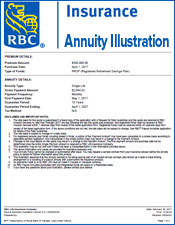 Annuity rates in Canada change constantly due to various factors, some of which are not apparent to the annuity buying public in Canada. 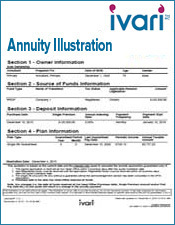 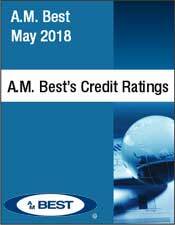 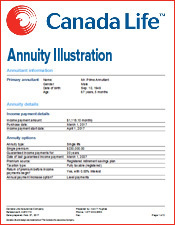 Let's first examine how annuity rates are arrived at and how the public in Canada can take advantage to secure the highest income. 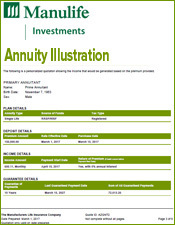 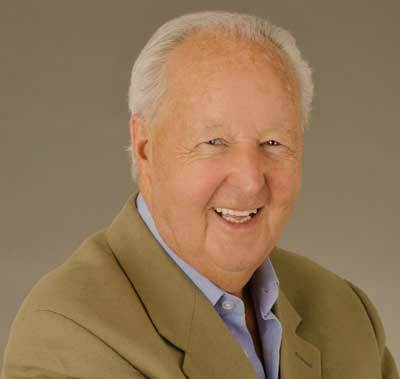 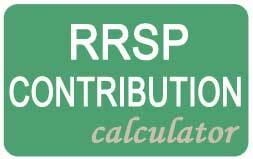 When a person says "Who has the best annuity rates in Canada" he or she means, "which company is paying the most monthly income" for their registered or non-registered funds. 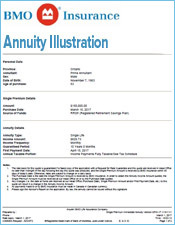 Each company has different needs for each age bracket which is the reason that while company X is paying the most at age 65, it may be 5th highest at age 70 and not competitive at age 72. 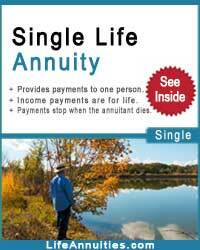 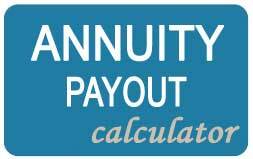 So annuity rates are not necessarily competitive at all ages, espcially when the age of a spouse is blended in with a joint life annuity. 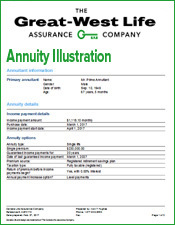 Now at some particular time, the company will receive enough money for that certain age bracket and will drop its annuity rates so that it does not receive any more Applications. 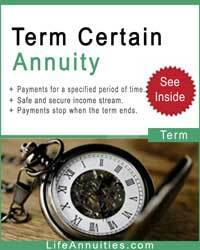 And that is a major reason you must see all the annuity rates in Canada when making your decision if you want the highest income available. 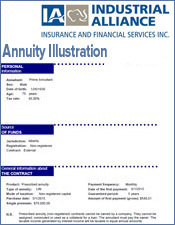 Some other reasons annuity rates change frequently are financial forces such as Canadian bond rates which fluctuate with interest rates both in and outside Canada.. Another reason annuity rates change is due to the lack of demand for capital. 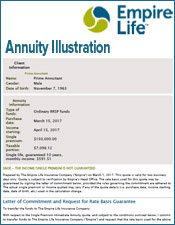 If the money cannot be invested at a profit, a life insurance company will not raise its annuity rates to attract applications. 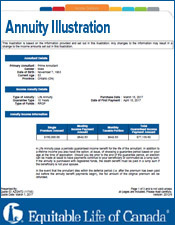 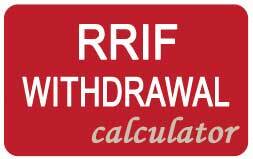 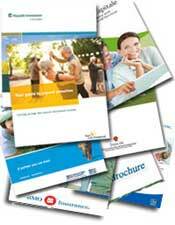 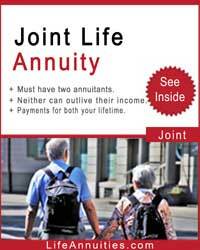 Click our online annuity quote to get your annuity rate. 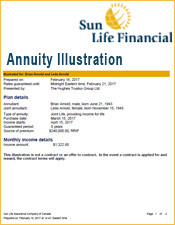 Enter the principal amount to invest and we'll provide the exact monthly income you will receive for the rest of your lifetime.